We worked with Victor Gonzalez. He was very knowledgeable about the vehicle we were looking at. Great customer service! Go check them out and ask for Victor! Lisa G was super helpful. Got a great deal on a really nice car! This was my second purchase. We worked with Val and he was great! Always willing to answer any questions we had and very detailed in his responses! Was referred to victor and he was awesome made the process easy will recommend. Went to indy auto man to look at a truck and the process was smooth. Worked with victor and listen to what I wanted. Went to see a 2012 Honda odyssey. Had a few concerns but our salesman victor addressed them and got us in the van couldnt be more satisfied with the process. 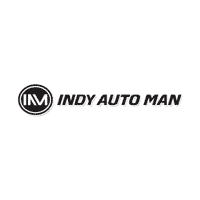 PLEASE go to INDY AUTO MAN!! Jacob Gross was the expert that helped us, and I couldn't be happier!! He actually listened to what was important to me, and never once pressured me into anything. His approach is laid back, friendly, knowledgeable about the entire stock of vehicles as well as patient. I had no idea what to expect when visiting...and was blown away by the experience! !